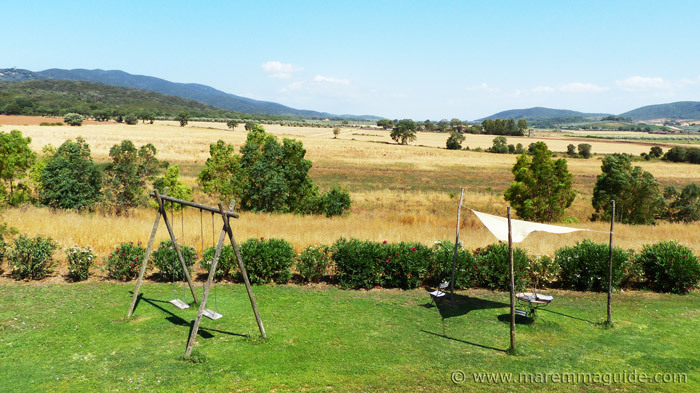 This Alberese agriturismo will treat you to an unpretentious but unique farm holiday. Looked after with Italian courtesy and care. In one of the most beautiful locations in Italy. Inside an area of outstanding natural beauty. With stunning walks, a hidden fresh water spring, medieval watch-towers, a ruined abbey, and wild, wild beaches. 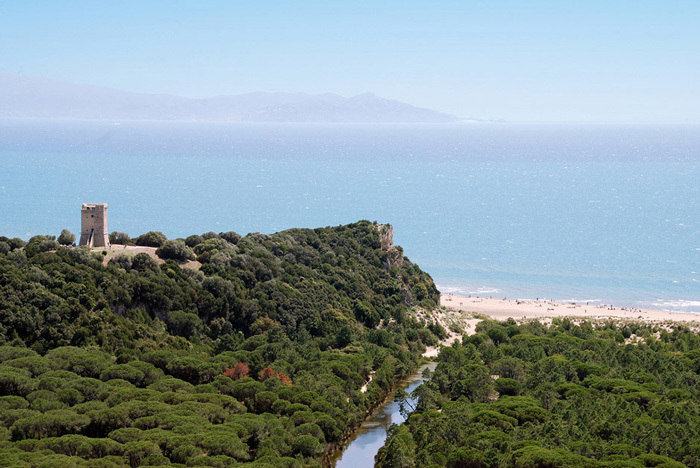 The very special Parco Regionale della Maremma - the Maremma Natural Park. 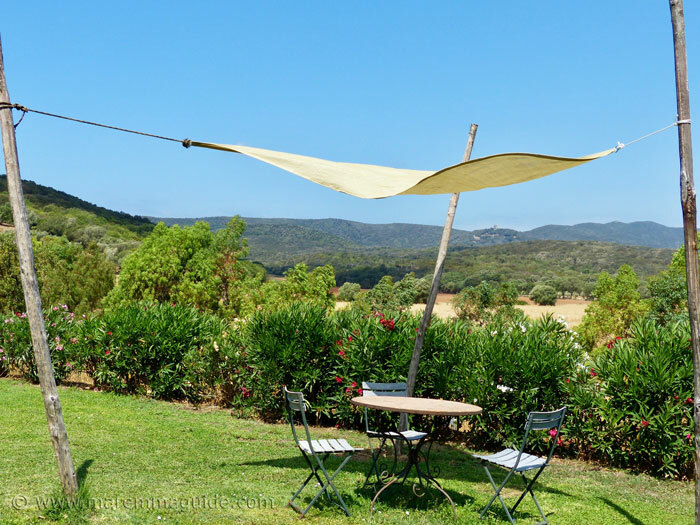 Where you'll get to see Maremmano cattle and horses, wild boar and herons, and have conversations with foxes and turtles. 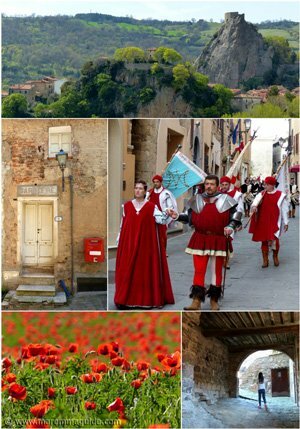 This is authentic, traditional Maremma. 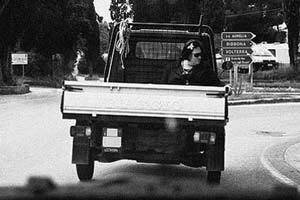 "Maremma, come era" - Maremma as it was. And so is Paola's farm. 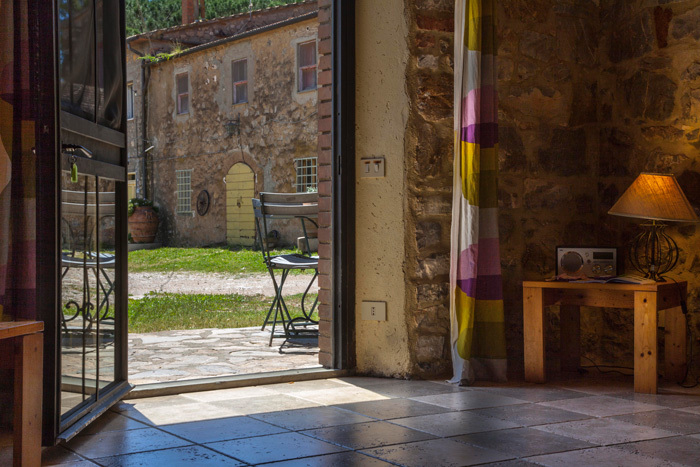 Just 6 minutes from Tuscany's stunning Costa d'Argento. She hasn't changed what was once her grandfather's. The home she used to travel to with her brother - on what seemed to her as a young child to be a long, long, journey from Milano - to spend her summer holidays with her "nonni" (grandparents). A deliberate decision of hers years ago, when it became hers. 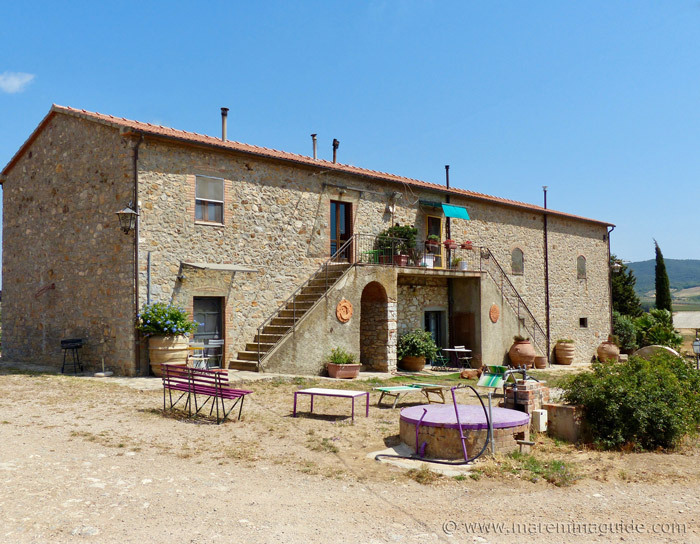 A decision she has kept to despite the competition from the proliferation of agriturismi in the Parco della Maremma that followed in the years after she decided to open her doors to guests. (There isn't a farm in the park that doesn't now offer accommodation. It is a sign of the times with agricultural livings becoming more meager each year.) With purpose-built rows of small apartments or bedrooms. She chose not to go down that route. But to covert one of the original farm buildings with the minimum number of adaptations as possible. 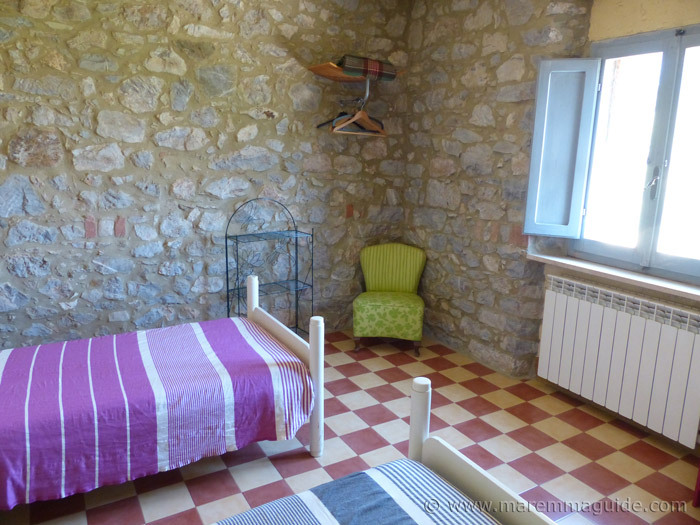 So that the accommodation she created has stone walls and original features still in situ. Testimonies to the buildings' original use. Nor did she opt to divide the building into the maximum number of apartments that she could. But rather she chose to keep them large. There are just five. Paola tends to put the first bookings into the largest apartments. But she has had couples ask her to move them. Into a smaller one. Because they don't need or want so much space! When a group of families or friends are staying together, however, she always makes sure that one of the apartments they have (if they don't book all five), is the largest one. 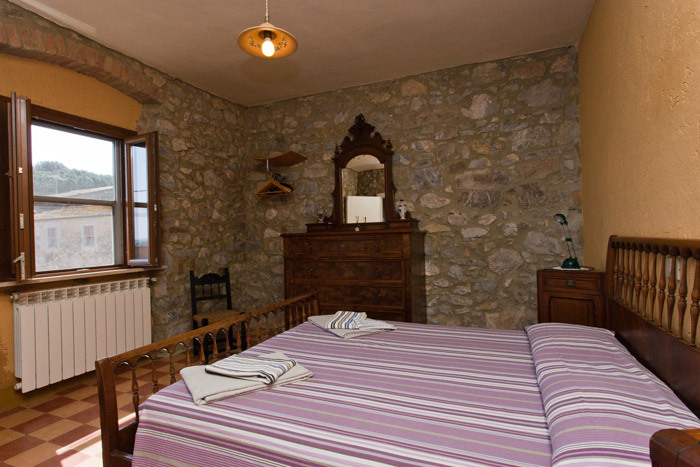 The 90m² "Vittoria". Because it is inside its large living/dining room that whole families can gather and move around with ease. And each find their own space for play or to read. The long table is perfect for large gatherings and endless meals. Which is why it is so popular for Christmas and New Year breaks. 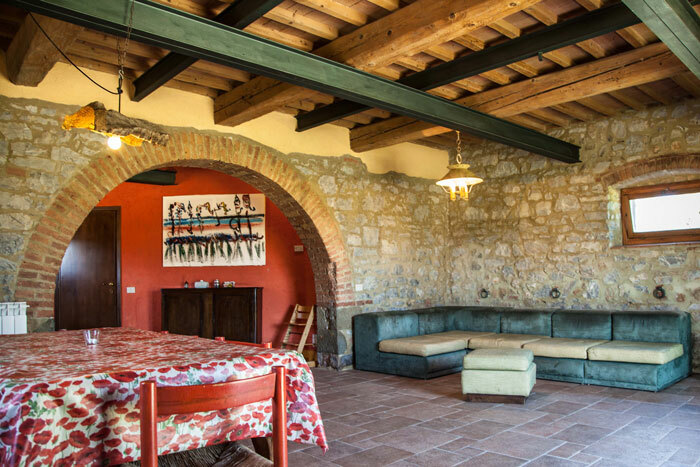 For the Tenuta La Valentina Nuova is open throughout the year. And when the first chills of late autumn creep into the nights, the central heating (each apartment has its own independent heating) will keep you snug. 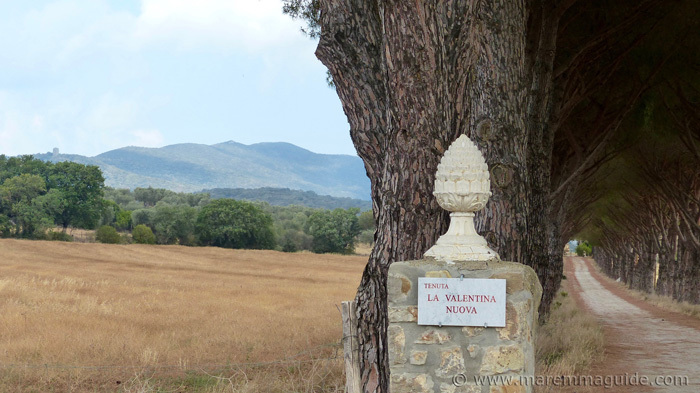 The Tenuta La Valentina Nuova farm - 180 hectares of entirely organic crops and pasture - is located at the foot of the soft Mediterranean macchia covered coastal hills of the Maremma Natural Park. The Monti dell"Uccellina. 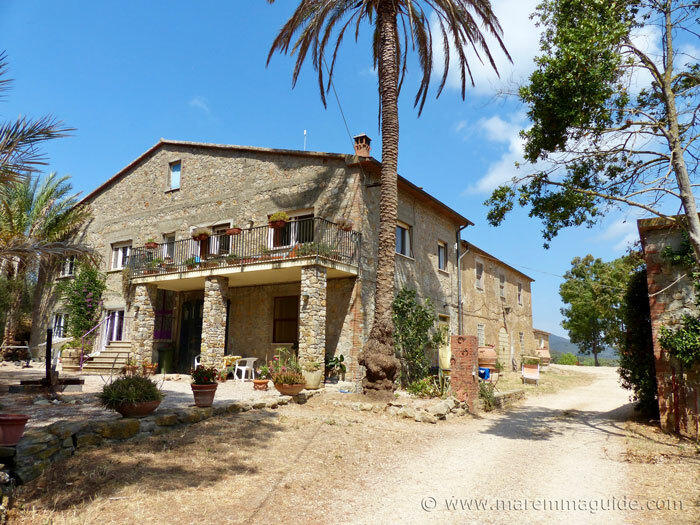 Eleven kilometres from the centre of the village of Alberese and a little over 7 kilometres from that of Talamone. 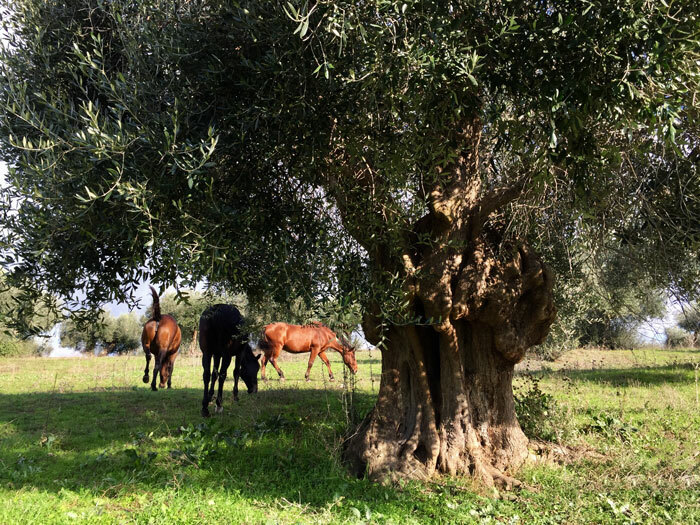 Cattle and horses still graze wild over the land and between the huge, ancient olive trees - the kind you inexplicably have to touch and hug - that have stood proud for centuries in the 30 hectares of groves. 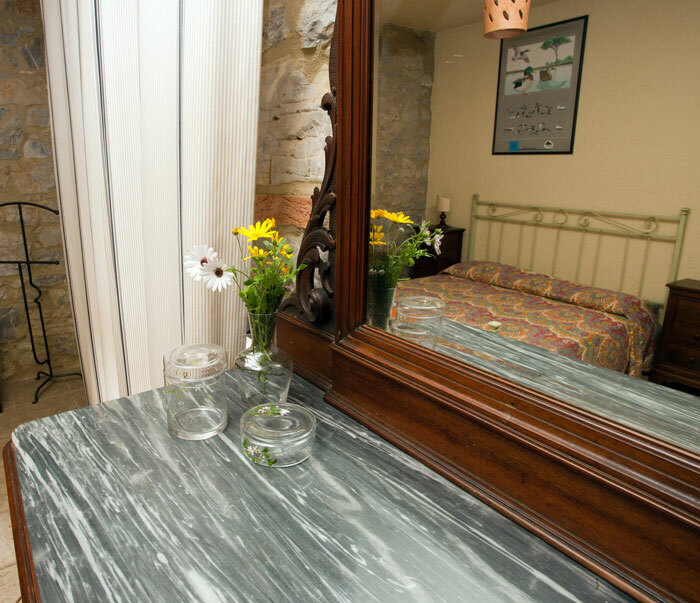 The stone-walled apartments are furnished simply. With pieces of Paolo's grandparent's polished wooden furniture. And even their solid wooden bed. 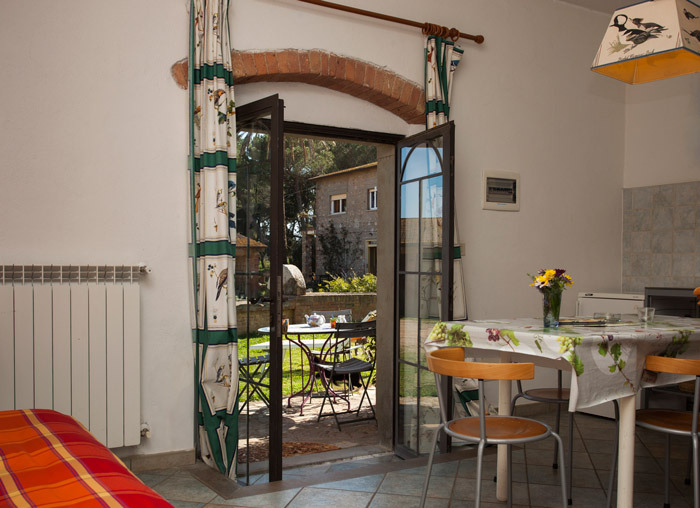 Each apartment accommodating between 2 to 4 people. The kitchens don't come out of a Milano apartment showroom. They are humble, rural Italian affairs. 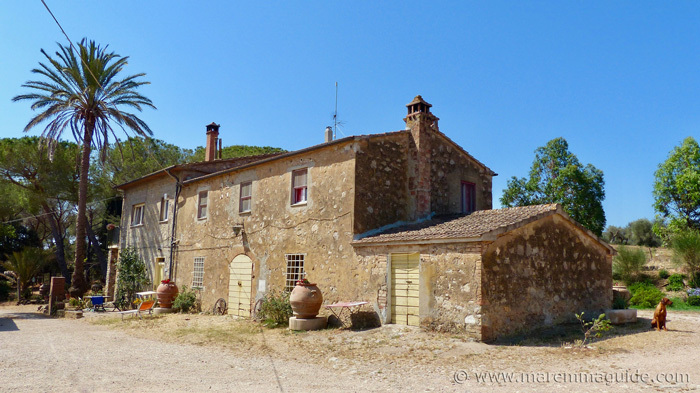 Just like the houses in the Maremma countryside where I live. But don't let that deceive you. 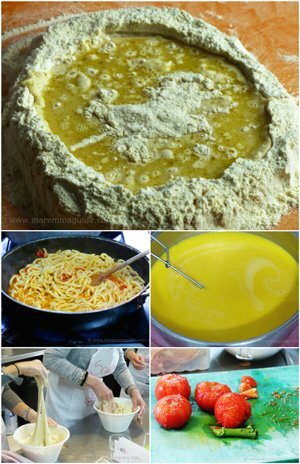 There is everything you need to cook-up a memorable Italian meal. 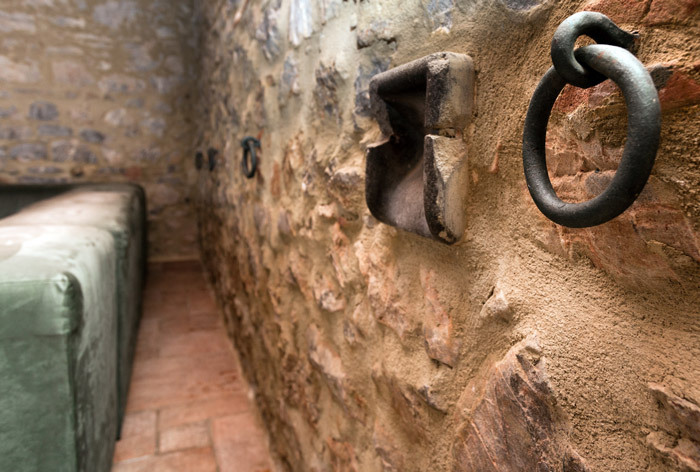 The two-roomed Gughi apartment is the only one of the five apartments that does not have stone walls, located as it is in the middle of the old stables. 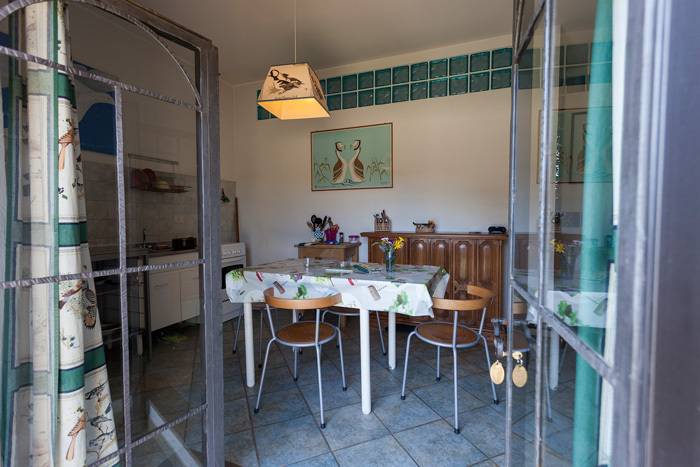 But it does have a small paved patio area that connects its kitchen/living room to the farm gardens. It is here that the couple wanted to stay, and had a wonderful time, when Paola moved them at their request from one of the larger apartments. It is the perfect size for two. Outside an old water pump still connects the farm well to the and washing and water troughs. Where her grandmother washed their clothes and the cattle came to drink. Now the well's purple cap is one of those unexpected touches of purple colour dotted about the farm, in an otherwise green and gold setting. In the height of summer - when I visited and took these photographs - shade is so important. You look for it wherever you go. Especially for your car! 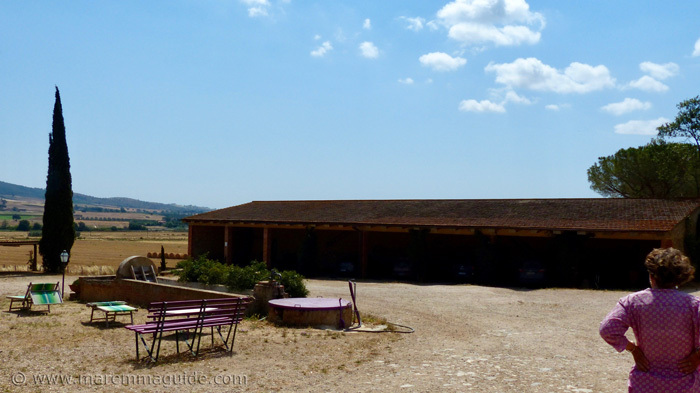 And at La Valentina Nuova, the barn has been converted into a shady parking area space for visitors So you can set off exploring Tuscany without melting the moment you get into your car. 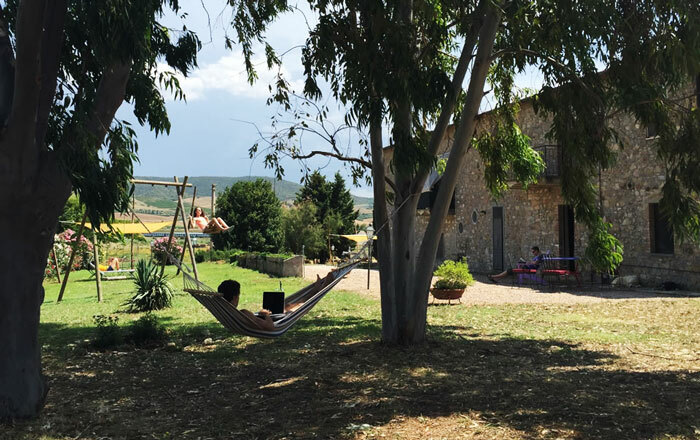 Chilling out big time in Maremma, but still need to check on things back at home. No worries. There is wi-fi throughout the apartments and the grounds. 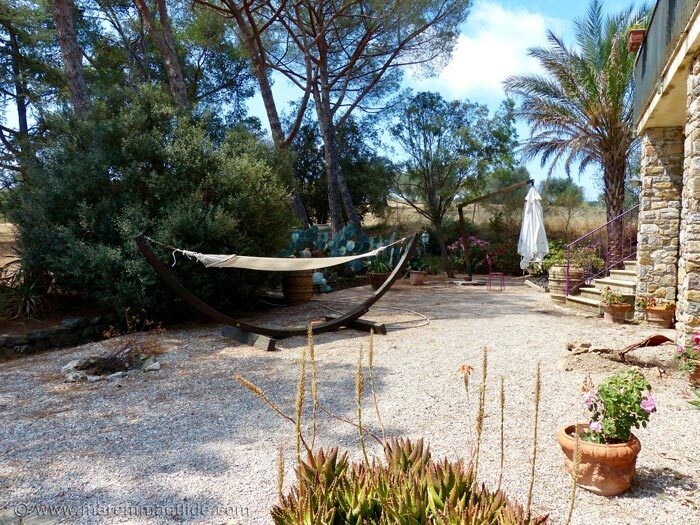 The gardens that is, not the whole 180 hectare farm and olive groves! The cattle and horses have no interest in Facebook! 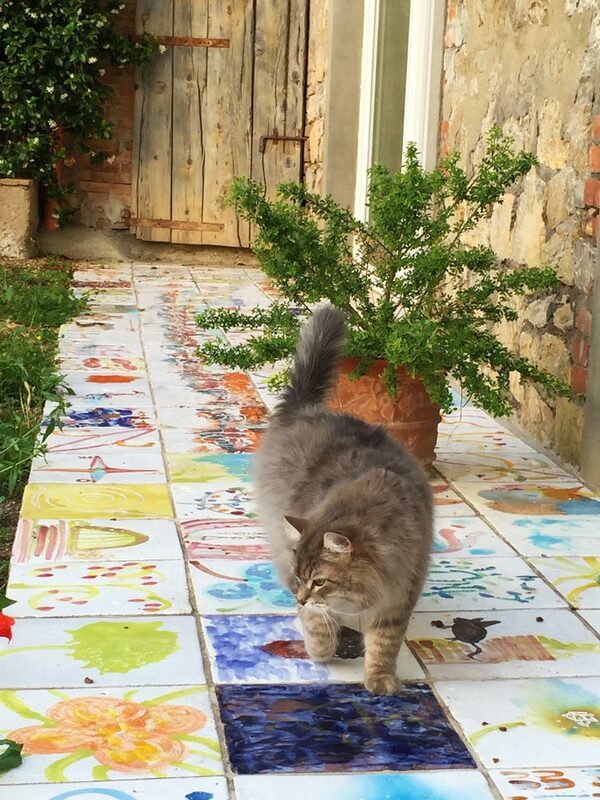 Apart from the (well-fed) farm cat that knows oh so well that the good life is here with Paola. She also has three dogs. Who will be very happy to make friends if you want to, but won't bother you at all if you don't. They follow Paola around the farm, but otherwise will ignore you! Unless that is, you ask Paolo if you can borrow them for a long walk. In which case you will be their new friends for life! Many guests do just that and end up unexpectedly pining for their company when they get home. 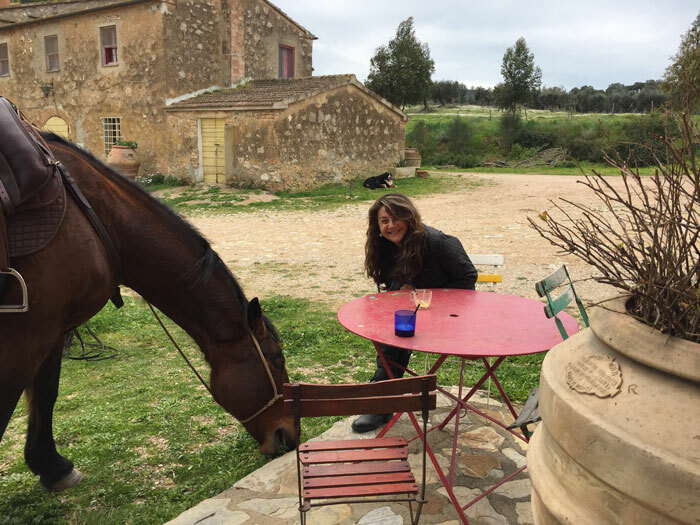 Paola has five horses, including three of Maremma's wonderful pure bred Maremmani. 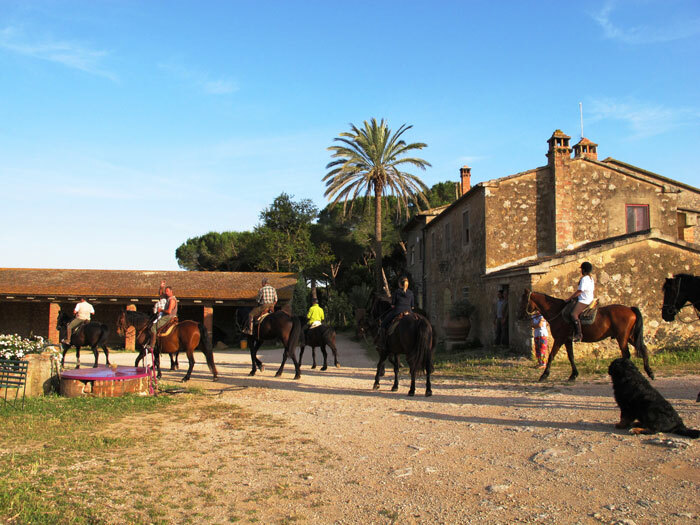 The favourite horse of Maremma's Butteri cowboys. Who train and keep them in the Parco della Maremma. Unless you are staying with her in the height of summer, when they are on their own holiday in pastures greener - don't expect much rain, if at all in Maremma in summer - you'll be able to spot them on your strolls around the farm. And stroke others when friends drop by. 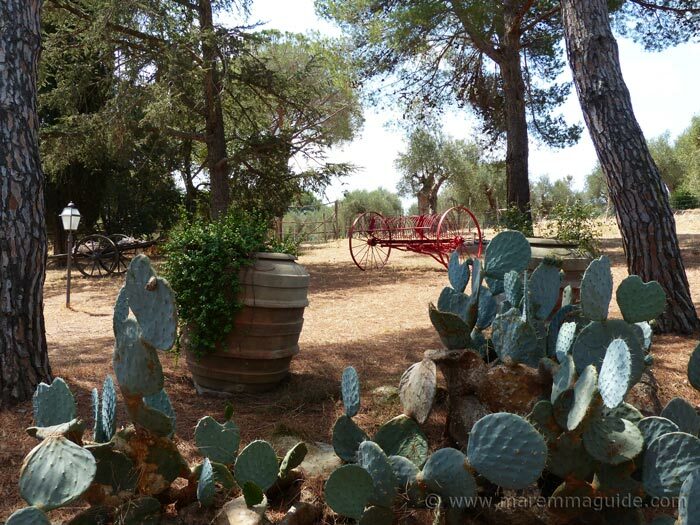 If you already know how very special the Parco della Maremma is and you want to be there. Right there. 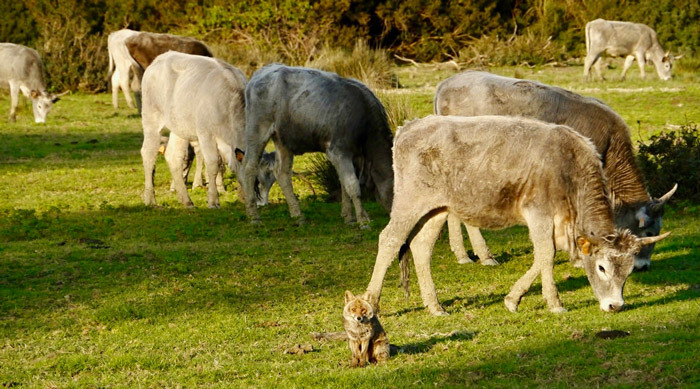 If during the day, seeing herons, coypu, splashing fish, turtles, long-horned cattle, horses, foxes and a brilliance of butterflies would make your little ones squeal with delight and light you up inside too. 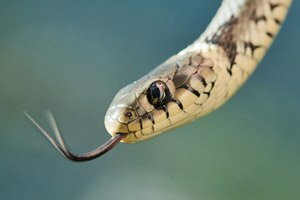 And at nightfall watching birds of prey alight on fence posts, and hares, foxes, deer, wild boar and, perhaps, a porcupine, nonchalantly stroll into the farm below your bedroom window, would fill you with tales to tell for years to come. Carelessly counting a million twinkling stars in a pitch-black sky wouldn't leave you bored. Nor waking to the sound of birdsong annoy you. If the next day a long streak of pink flamingoes wading in the cobalt blue waters of a rather special lagoon, would catch your breath. If you dream of a beach holiday. On a wild beach. And of tiny tucked-away coves. 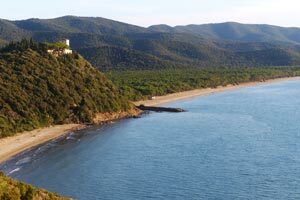 If the thought of exploring a stunning Spanish Silver Coast whilst in Tuscany has you intrigued. Or playing - adults are allowed to!- in an incredible colourful garden of sparkling mosaics and mirrors. If having a host who won't intrude on your privacy. 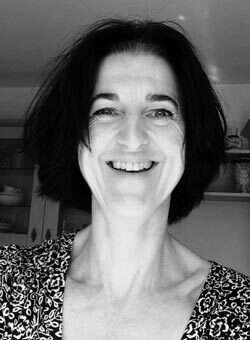 But who will, with true Italian generosity and ease, willingly share her insider knowledge and help you plan memorable days and dinners out. When you ask. Sounds exactly like what you would want. You want easy access to Siena and Firenze. And everything there is to see in between. You didn't imagine you could do so on this trip. But, yes, you would fancy a day trip to Rome. One that only takes 90 minutes on a fast train (from a main line station just down the road with easy parking nearby). 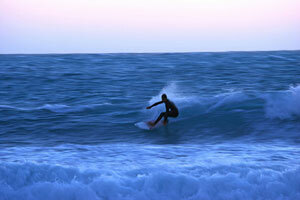 With a last return journey that departs Rome around 21:00, so you really can have a full day out. Ending with an aperitivo in the Eternal City. Hassle free. And. At the end of the day. When you have all of this. And more. A real farm experience is more important to you than matching decor and a fitted IKEA kitchen. For more information and to check on availability you can contact Paola directly via email using the form below. I consent to you forwarding my information to Paola at Tenuta La Valentina Nuova only for the purpose of my enquiry about her farmhouse. 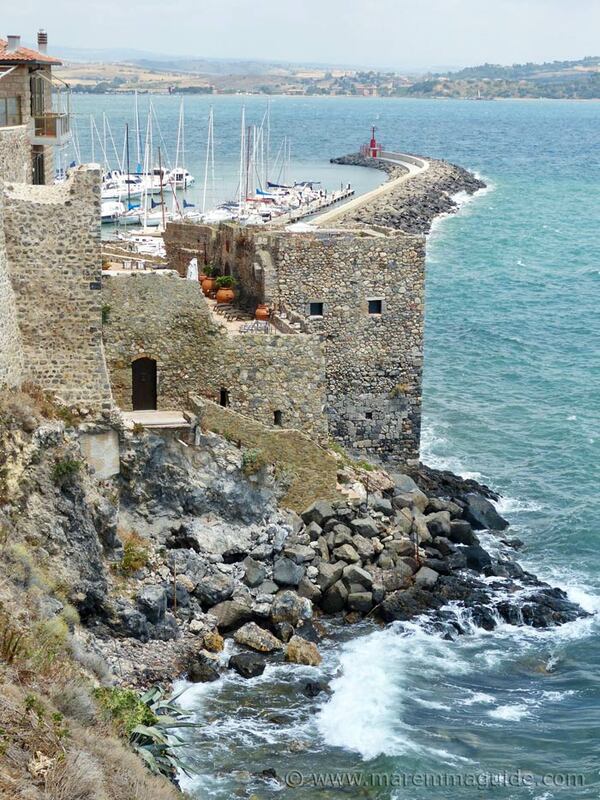 Just a few of minutes drive from La Valentina Nuova and you'll be in the picturesque and quiet port of Talamone. A sailing haven and aperitivo destination. Famous in Italian history as the landing place of Giuseppe Garibaldi during his epic Expedition of a Thousand Red Shirts in stolen steamships, on his way overthrow the Kingdom of Two Sicilies. And more recently, by Daniel Craig as James Bond in the film 007 Quantum of Solace. 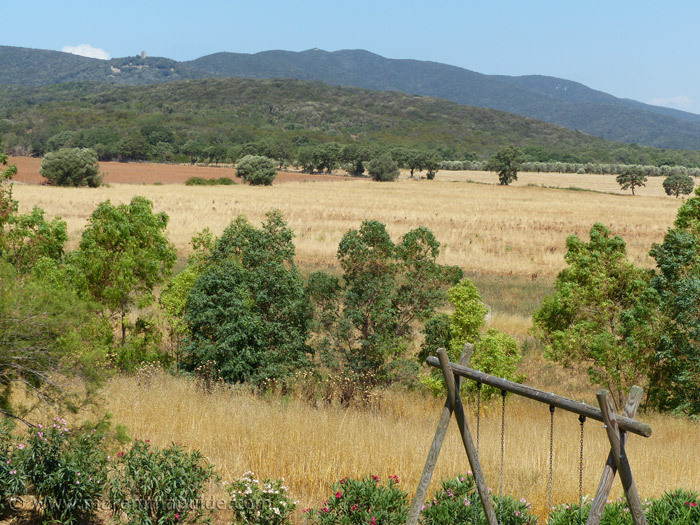 But before you get there and catch your magnificent first glimpse of the town and its fortress above the sparkling emerald and turquoise waters of the Tyrrhenian Sea, you'll have to pass alongside the canal that runs parallel to the road to the Valentina area (from which the farm takes its name) of the Maremma Park. Decide to do so by bike and you'll get to chat to Egrets and Grey herons stood stock still on their long stick legs, watching for fish in the waters below. Before that is they decide that you have interrupted their possibilities of a catch and take flight! And Nutria taking a dip. And then. In the skies in front of you, you'll catch sight of flashes of neon colours. And black dashes. 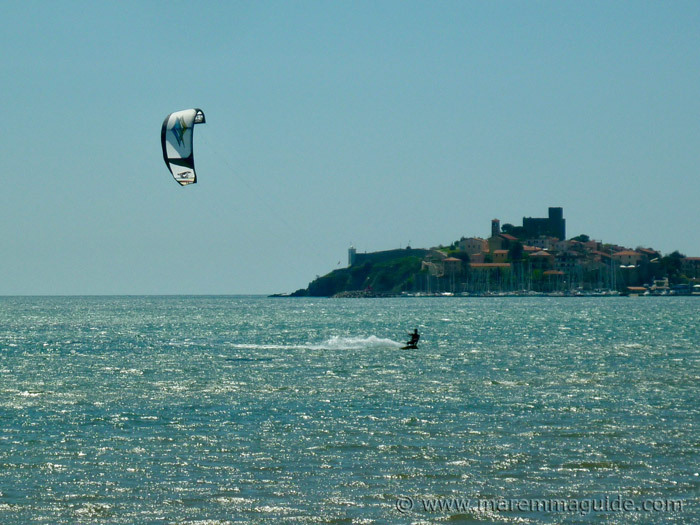 For you will be in front of Italy's most famous kitesurfing beach. The Spiaggia della Fertilia. 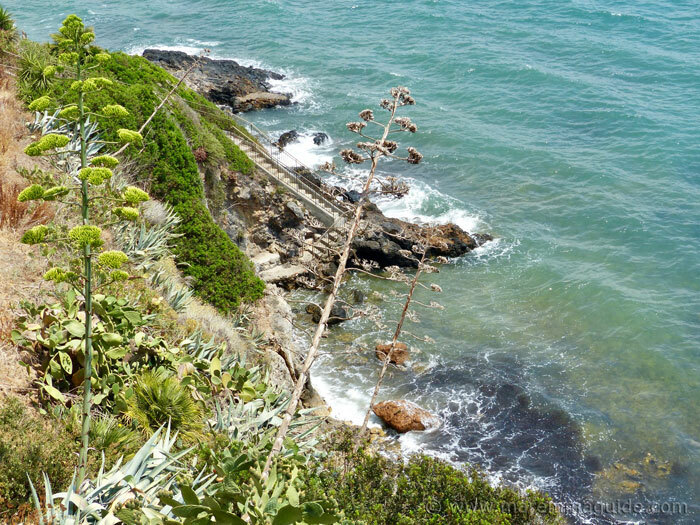 Once in town, you'll find paths that lead to tiny rocky shores. And to the Bagno delle Donne. But you don't have to leave Paolo's farm to get a sense of the incredible the history of this area. Just look out of your window. Or up from your sun lounger. 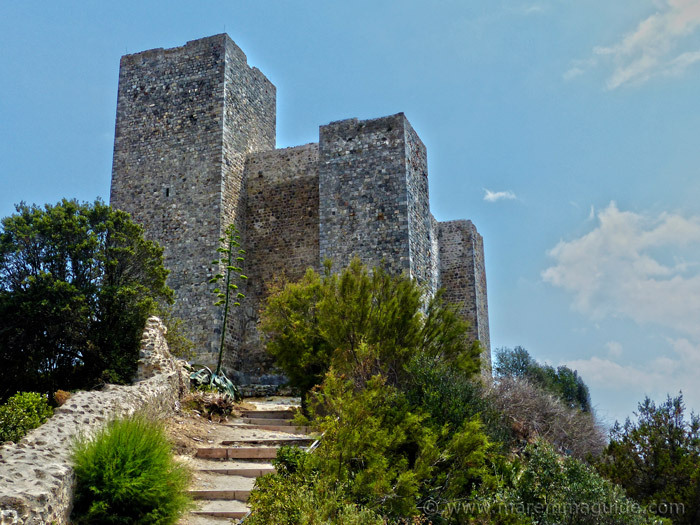 For there are not one, but two medieval-Renaissance coastal look-out towers watching you. 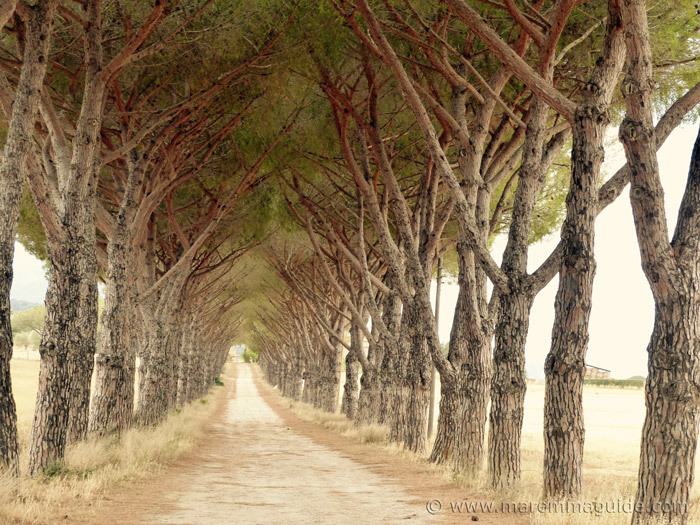 Built with many others to form a continuous chain along Maremma's Silver Coast. To defend it from Barbary pirates. To give the residents of Talamone and the villages below the Uccellina hills time to flee. They also look inland. Over you. And my, oh my, do they have some stories to tell. Visit the Park and follow one of the itinerary trails to get up close and listen if you dare! 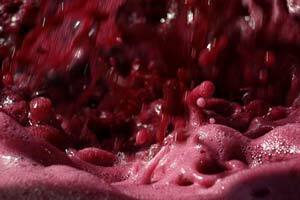 The Tenuta La Valentina Nuova is one of only a few farms recognised by the Park authority for their outstanding excellence. 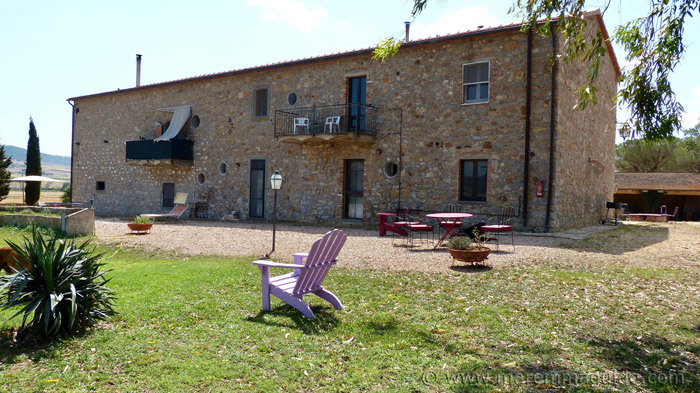 A stay with Paola's comes with a 30% discount on entry into the Parco Regionale della Maremma and it's itineraries. Take a look at what you can do. Including guided trekking, cycling, horseback, and canoe activities (not included in the discount). 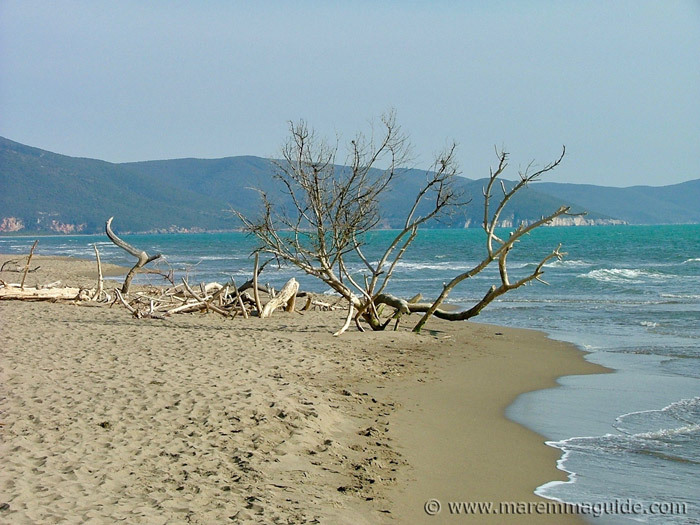 The Marina di Alberese beach. For more information and to check on availability, contact Paola directly via email using the form below.